Do You Know the True Condition of Your Home? You shouldn’t have to worry about the safety of your home or place of business. With a thorough inspection, you can have peace of mind knowing that your family or employees are in a stable building. North Coast Property Inspections LLC performs home and commercial building inspections in the Fields Landing, CA and the greater Humboldt county region. Whether you’re getting ready to buy a new home or bringing your building up to code, you can trust us to perform a detailed property inspection ASAP. To learn more about our home and commercial building inspections, reach out to North Coast Property Inspections today. Schedule an appointment with us at your convenience. At North Coast Property Inspections, we pride ourselves on performing thorough home and commercial building inspections, no matter the size of your structure. As a former general contractor with over 35 years of experience, our founder knows how to spot construction issues other inspectors might miss. Contact North Coast Property Inspections now to speak with a certified home inspector in Fields Landing, CA the greater Humboldt county region about general home inspections. Why choose North Coast Property Inspections? 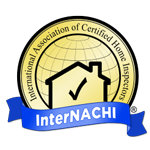 To find out about our general home inspections and commercial building inspections, call 707-444-2326 today. We're always happy to answer your questions.